This week's theme is Heads-"Anything Round". 2. 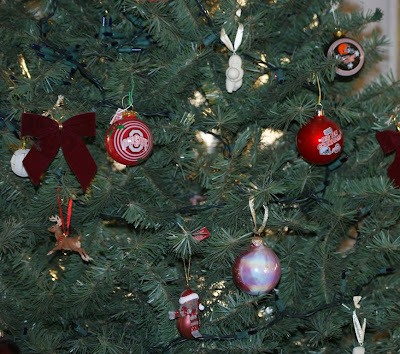 This is the worst thing about the above photo... there's NO Cleveland Indians ornament!!!!!!!! I'm glad you told us, because I couldn't figure out what was wrong.